Before Hannah was born, lots of people gave us books for her as gifts. One such book was Guess How Much I Love You, a great book about the love between a parent and a child. Did you know that there is a TV series based on the book? And more exciting - some episodes just came out on DVD this week! Guess How Much I Love You - Someone Special contains 7 episodes, 11 minutes each. You can watch them all at once, or if your kid is anything like mine, you can choose a favourite episode to watch over and over and over again. The episodes follow the adventures of Little Nutbrown Hare and his friends, who always seem to need the help of his father Big Nutbrown Hare. Hannah's favourite character is Little White Owl - I guess she likes hearing her "stories". She probably also likes that she's nocturnal because it's one of her favourite words - she loves telling people what nocturnal means. The DVD makes a great Valentine's Day treat - it's sweet, loving and won't give cavities! One lucky YYZ Bambina reader will win the Guess How Much I Love You - Someone Special DVD and the brand new Guess How Much I Love You panorama pop book. Disclosure: I received a copy of Guess How Much I Love You - Someone Special for the purpose of this review. As always, opinions on this blog are my own. I don't know any of the characters to be honest with you, but it sounds like such a lovely story! Little Nubrown Hare sounds very popular! Oh my goodness how cute! I got that book for my shower as well, I didn't realize it was a TV series now. I wouldn't have a clue. This is totally new to me. Who else but the little Nutbrown Hare! Little Nutbrown Hare is our favourite. little Nut brown is my child's favourite . Little Nut Brown Hare, definitely! She doesn't have a favorite yet. Little Nut Brown Hare of course. She doesn't have a favourite yet. Little Nutbrown hare - I think all kids do. My kids all say they like Little Nutbrown Hare. We haven't read the book, but Little Nutbrown Hare would probably be her favorite. I always loved Little Redwood Fox! First in for Little Field Mouse - she's cute and I like her voice. Little White Owl. My daughter really is fond of owls. 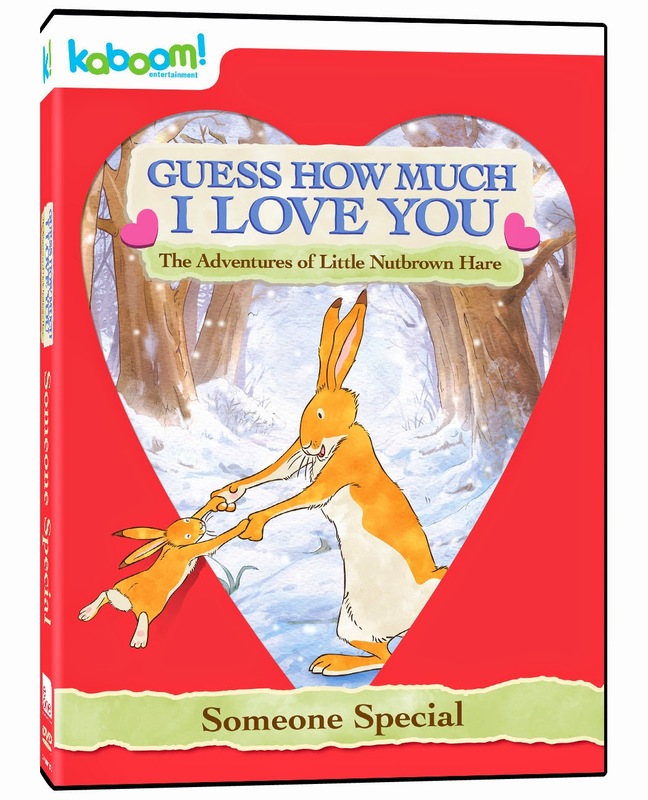 It would be great to win the Guess How Much I Love You - Someone Special DVD and the brand new Guess How Much I Love You panorama pop book. Little Nutbrown Hare is my niece's favourite character.